It’s been a challenge for Manjit Singh to find a chef to prepare authentic Indian cuisine at his Sitara Indian Cuisine restaurant. Luckily, the full-time health specialist is also talented in the kitchen. 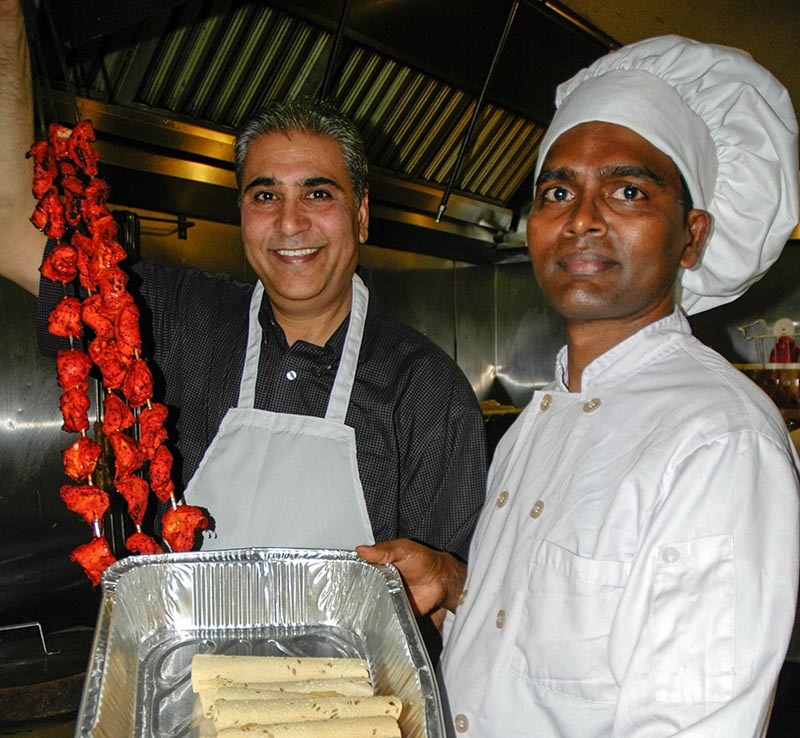 “I truly believed from day one that if I wanted to run a restaurant, I’d have to be very involved,” says Singh, who moved to Sarnia in 2002 with his wife and three sons. They quickly realized there was a demand for authentic Indian food and opened Sitara – which means shining star – on London Road two years ago. Singh wanted to provide training for culinary and hospitality students at Lambton College. Currently, he has two. But finding an experienced Indian cook has always been a hurdle, so Singh finds himself working in the kitchen most days. He also is kitchen manager and Sitara’s buyer, travelling to Toronto for specialty spices. Good Indian food relies on simple recipes that combine a wide range of spices, said Singh, who is from northern India and specializes in Punjabi cuisine. Singh’s curries are made from ginger, garlic and onions flavoured with cloves, fennel seeds, anise star, black pepper, mustard seed, tamarack powder, cumin, coriander and cardamom. “There is a huge demand for authentic Indian food in Sarnia,” he said. Some nights are so busy the 40-seat restaurant has five seatings. “It’s like a barbecue and an oven,” he said while deftly baking naan bread on the tandoor’s red-hot clay walls. “I make everything from scratch. It’s all fresh,” said Salagala. Sitara is located at 1308 London Line in the Trevi Plaza. Open Tues. – Sat. 11 a.m.-2 p.m. and 4:30 p.m.- 9 p.m.; Mondays 4:30 p.m. – 9 p.m. Mix all ingredients with ground chicken. Add flour to desired thickness and make patties to fit the size of your fist. Wrap patties against the skewers and place them in tandoor till cooked. Makes 20, foot-long kabobs for party of 10.